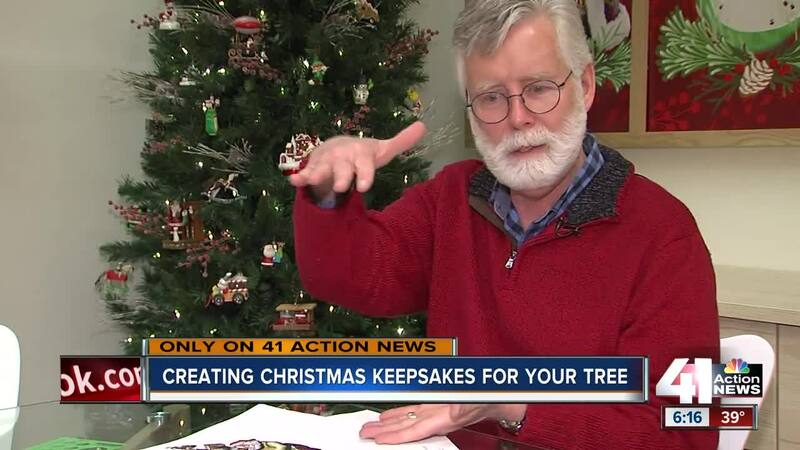 For Hallmark master artist Ken Crow, it's Christmas 365 days a year. KANSAS CITY, Mo. — For Hallmark master artist Ken Crow, it's Christmas 365 days a year. "I only thought I was only going to be here two years and I've been here 39 years and four months and I'm still just starting," said Crow. His job full time is creating the Keepsake Ornaments at Hallmark. "Throughout my career at Hallmark, I've made over 500 ornaments," said Crow. "They range from ornaments that are miniature that are this big to normal size ornaments to mechanical ornaments to table toppers." But, where does it all begin for this artist? "So, to create an ornament, a sketch will take me as quick as five minutes to as long as a couple of days," Crow said. From there, he has to get the thumbs up by a committee. If approved, Crow heads to his computer to sketch. "I used to sculpt by hand, with my left hand, with wax and clay. And now, I'm 100 percent digital and I sculpt with a mouse with my right hand," said Crow. It takes a whole team of writers, art directors, engineers and more to bring the ornament to life. After he finishes, a prototype type is printed. A life size version is printed for Crow. It comes out all gray, so the artist can determine what color everything needs to be. Months later, it's on the shelves at stores around the world. "When they buy it, there is nothing like it. That means I did a job, someone liked what I did and they are going to have a happy experience on their Christmas tree," said Crow. There is one ornament representing something to him, it's the ornament of his son and daughter from the 1990's. He is grateful to be living his dream. "I kind of look at it like I've been given a gift and I get to make things and that's my gift. My gift is to make people happy with the things that I've made," Crow said. His holiday ornament featured in the story is available in Hallmark stores. The 2019 Hallmark Keepsake Ornament Club Convention will be held at the Westin and Sheraton Hotels in Crown Center on August 8-10, 2019.